Ocean Sub Plans: A Home for Hermit Crab & More! See if this sounds familiar . . . don’t do as I do, do as I say. You probably heard your parent say that a time or two when you were growing up. When I worked with student teachers or new teachers, I often told them not to do what I did when I was a new teacher. There were so many things that I did the hard way the first few years of my career. I wasn’t necessarily doing them wrong, but there are easier, quicker ways of doing things in our profession that seasoned teachers don’t always remember to tell the inexperienced ones. 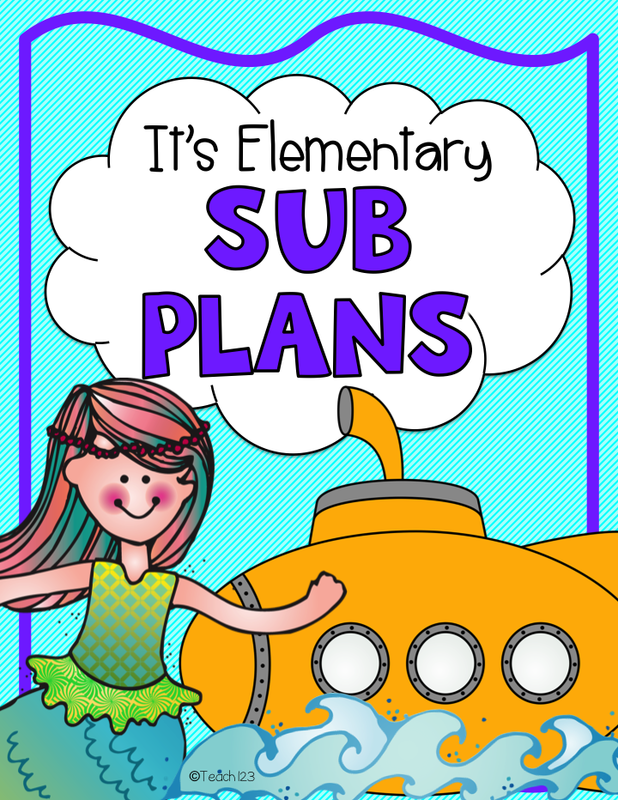 Planning for a sub was one of these “hard way, easy way” lessons that I eventually learned. But, I really wished someone would have given me directions to the easy way much earlier in my career! Plan Idea #1: In the beginning, when I needed a sub, I wrote out step by step directions of what the sub needed to do during the day that I was absent. Yes, this works but it is not an efficient use of my time. Plan Idea #2: I typed up a generic sub plan and then added the assignments. This worked most of the time. But, what happens if you or your child gets sick in the middle of the night and you can’t come in and write the assignments and prepare the lessons? 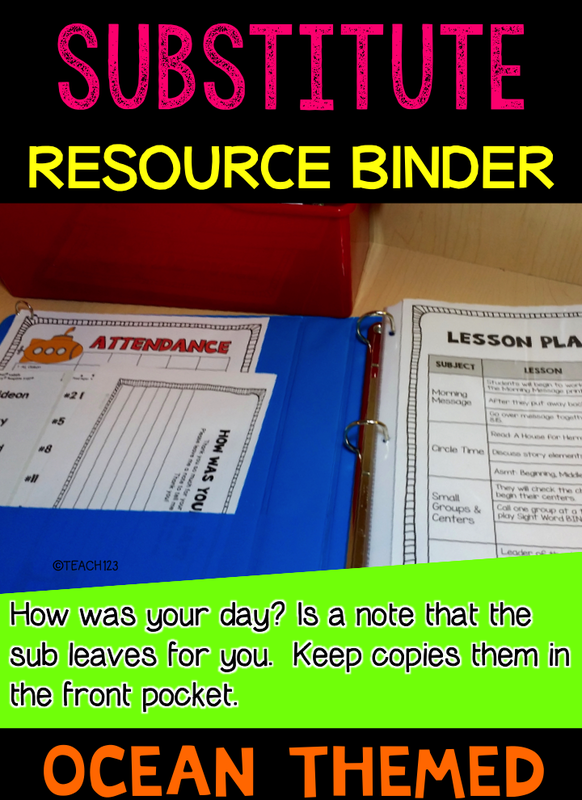 Plan Idea #3: Emergency sub plans – One day of lesson plans that are generic so they can be used at any time of the year. One of the schools that I worked at, required us to organize these in a folder and give them to the secretary. This is a smart idea if your secretary has the room to store them. Through trial and error, feedback from subs and co-workers I finally found a system that worked for me. 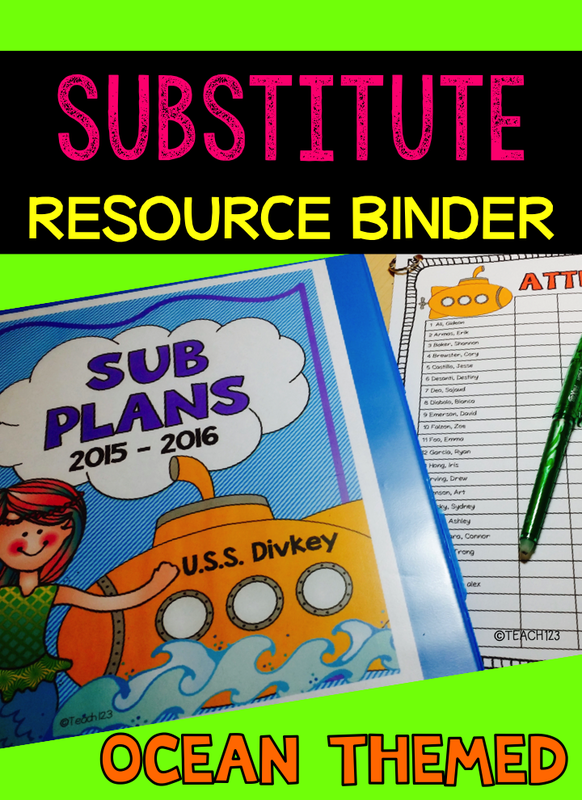 I organize a Sub Resource Binder (original) and Ocean-themed Sub Resource Binder. This is the “how to” for the sub. It explains all of the procedures for how I run my class. It saves so much time and the subs love it! Have you ever been pulled from class at the last minute for meeting? Maybe the meeting is only for an hour or so, but when it catches you by surprise, it is hard to think of all the details you need to put in plans for the sub who will be covering your class. 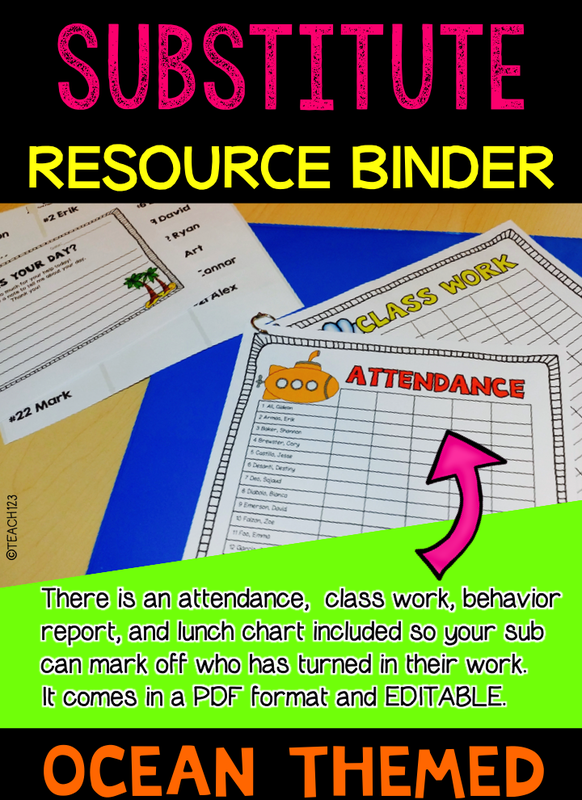 When this happens you pull out your handy dandy sub resource binder and give him/her the materials that are needed to teach the lessons. Quick, easy and painless for you and easy for the sub! I have the following folders in the tub: Monday, Tuesday, Wednesday, Thursday, Friday, and Centers. 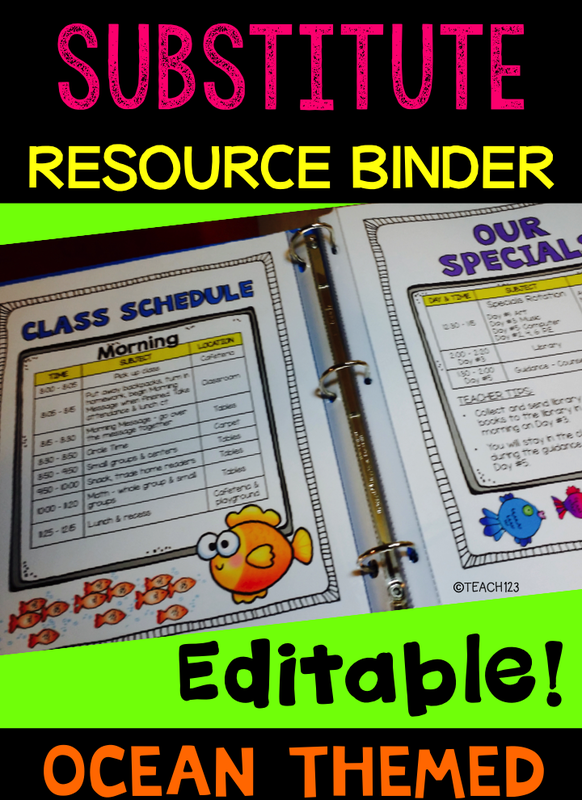 I put all of the papers, read aloud books, and other materials that I need for my lessons that I need for the day in the order that I will teach them in folders. I show the special ed. teachers that I work with and a buddy teacher where I keep my stuff. 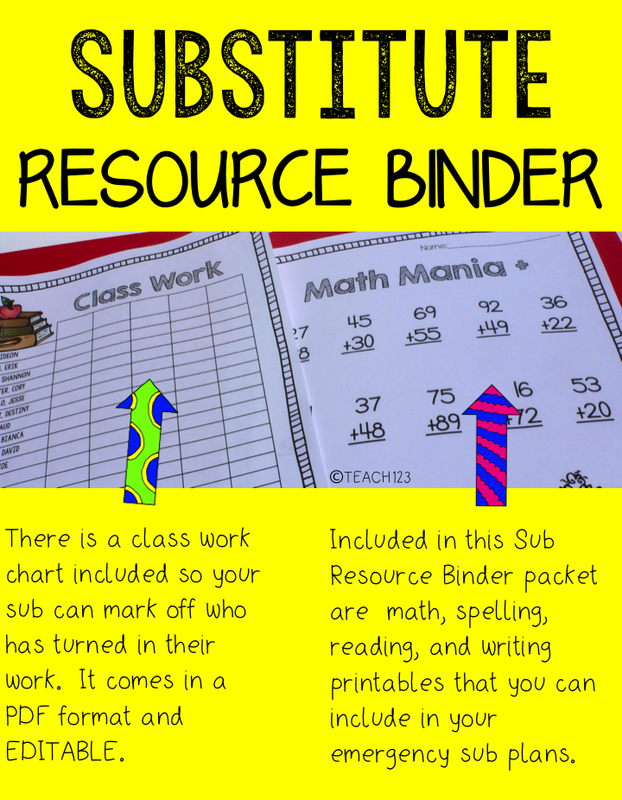 If there is ever a time when I am too sick to come in an organize my sub plans, I call one of these teachers who can pull out the day’s folder and my Sub Resource Binder. I know that my sub has all that he or she needs to have a successful day. The procedure pages come in PDF format and EDITABLE in Powerpoint. I think every teacher needs a set of emergency plans because you never know when something might happen. My first 18 years of teaching, I made emergency sub plans and didn’t need to use them. It would have been easy to think that this was a waste of time to make them at the beginning of the year when I had so many other things to do. But, then during my 19th year, my daughter got sick – really sick – in the middle of the night, my husband was out of town, and there wasn’t any way that I could leave my daughter to go plan for a sub. Luckily I had emergency sub plans. I think you have to look at emergency sub plans like an insurance policy. You’ve bought car insurance for years yet you’ve hopefully not been in a car accident. But, if you ever are in a car accident, you will be thankful that you not only have an insurance policy, but that you took the time to shop around to get the best policy possible. Sub plans work the same way. Take the time before school begins to make quality emergency sub plans. 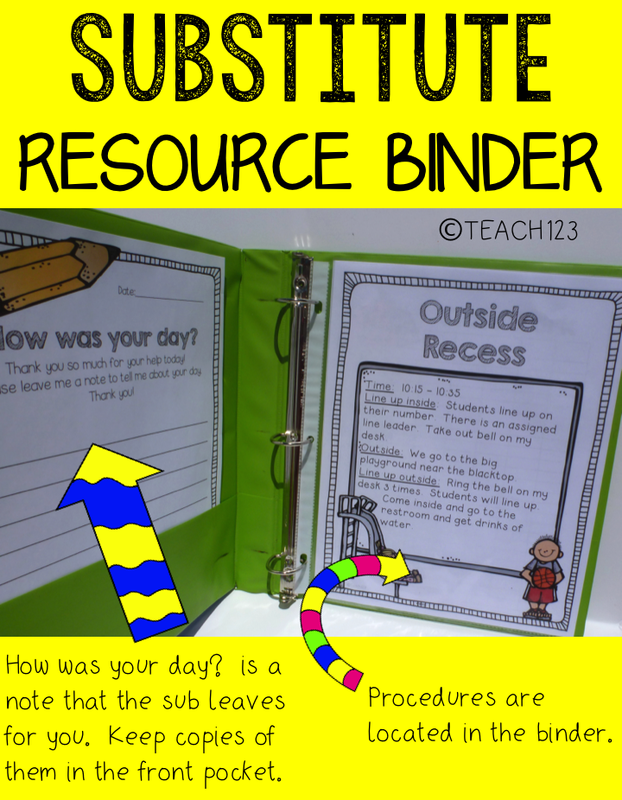 I have two different substitute resource binder kits. My original one is below. I just finished an ocean themed packet. This kit has activities that are ocean themed including activities for A House for Hermit Crab by Eric Carle and Fancy Nancy Sand Castles and Sand Palaces. Be sure to download the preview file so you can see what is included. I have a little FREEBIE for you to thank you for stopping by today. Click HERE to download the Hermit Crab freebie.